Welcome , and thank you for visiting Foremost Restoration LLC’S website. Foremost Restoration LLC is a Locally Owned and Operated Company Serving Central and Southern Indiana. With More than 40 years experience, we have become one of the most trusted names in Indiana’s roofing Industry. 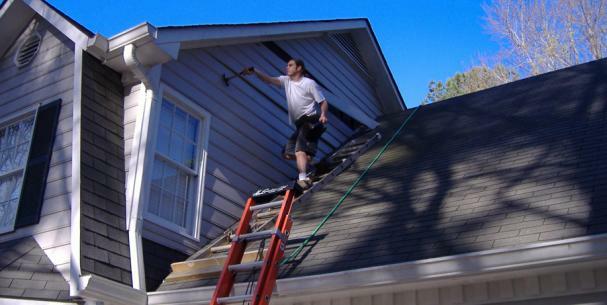 We pride ourselves with having a professional and courteous staff, from our roofing, guttering, siding, to our painters. The core of Foremost Restoration LLC is our foundation of faith ,integrity and honesty. These values permeate through Foremost Restoration LLC ‘S business practices and shows in the quality of our work. Foremost Restoration LLC knows Indiana and understands what the extreme weather conditions can do to a home or building. Because of that, Foremost Restoration only uses the highest quality materials to assure a long lasting roofing system. To our clients this means they can rest assured they will receive the best possible installation and quality products. * We have earned and maintained A rating with the Better Business Bureau. * Fully insured and bonded general contractor in Indianapolis, Indiana. * We carry a 2 million general liability policy and workman’s compensation. * We are an Insurance Claims Specialist Company because the majority of our work specializes in working with insurance companies.